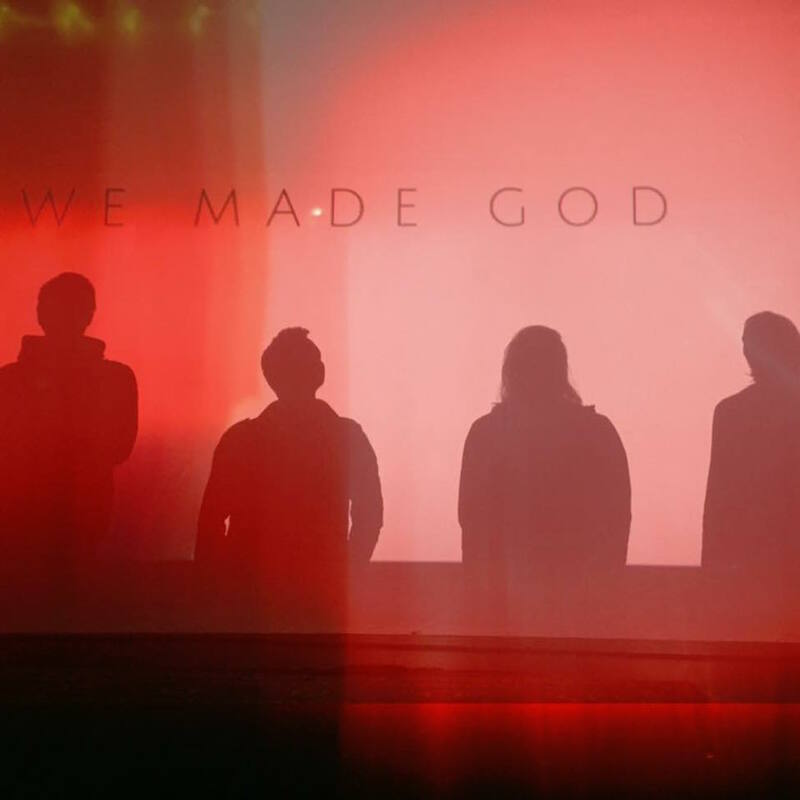 We Made God are veterans in the Icelandic music scene, having existed for over fourteen years and played in every venue in most parts of the country. Their conviction has been to put on a great show, playing songs they love for every ear, heart and eyes that are willing to listen, feel and get lost in their soundscape. If normal pop music is like watching a sunny day through a passenger window, We Made God's music would be like riding a monster truck through a blizzard. Violent and adrenaline filled, broken up by the occasional calm eye of the storm. Their debut As We Sleep has been touted as “Referencing the otherworldly ambient atmospherics of Sigur Rós and Deftones' driving, muscular riffs” by Q Magazine who gave them a 4/5 for their “audacious debut”. Kerrang magazine was equally thrilled by their debut album, giving them 4 Ks and dubbing it “simultaneously soporific and terrifying” as well as selecting them as one of their Must Hear acts of 2008. We Made God has had a permanent slot on the Kerrang nights at the Iceland Airwaves music festival, always gaining a constant review of 4 Ks for their atmospheric live performance. Having toured extensively around Iceland since their birth We Made God made their presence known in Great Britain in 2008 with an intense tour from Scotland to London, playing 11 gigs in under two weeks. We Made God are one of those cases where the community played a huge role in the development of their fame. Together with their fans they've carved out a niche for themselves, mixing together the tones of the northern lights with the bludgeoning riffs of a polar ice storm. 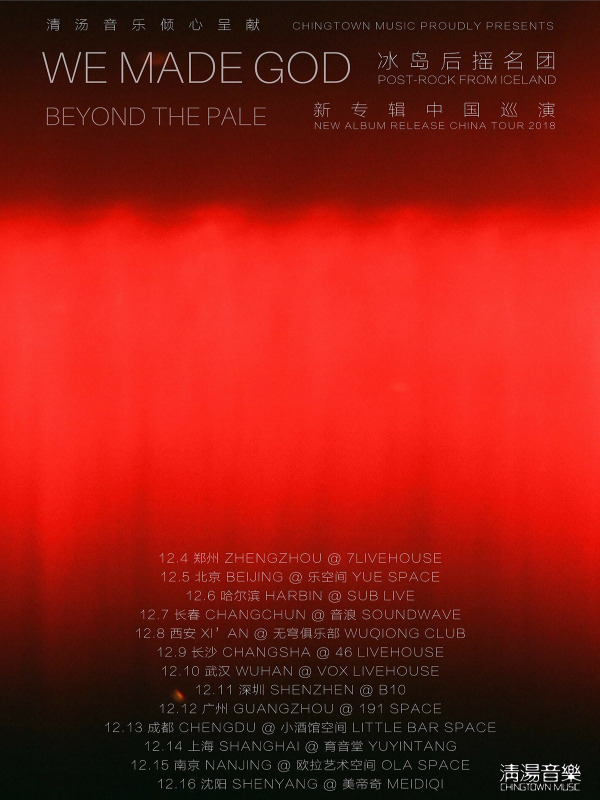 The band has released three studio albums, As We Sleep in 2008 (“an audacious debut” – Q magazine), It′s Getting Colder in 2010 (review) and Beyond the pale in 2017, as well as recording their own EP, Fragments in 2010. We Made God have finished their third studio album, Beyond the Pale, it will be released in 2018. Seeing is truly believing when it comes to We Made God. 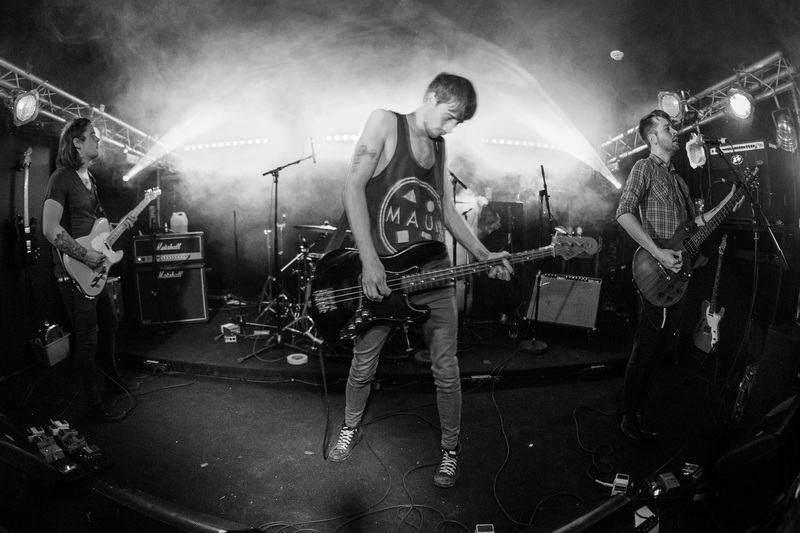 The bands impassioned shows have been recognized in both domestic and foreign media. We Made God has been touted as “a must hear act” by Kerrang! Magazine who also gave their Iceland Airwaves shows a four years in a row. The band has carved its own niche in the scene a long with their international fans and We Made Gods star is shining brighter than ever. After the release of their new album the band will once again release their own atmospheric act on the world echoing from the Esja to Keilir, from Katla to Tindastóll ricocheting on the icy terrain like the storm that surely follows.